Variety is important for small pets, especially with their diet. The food supply in the wild offers a wide variety of foods including plenty of fruits, herbs, plants, nuts, and grains. 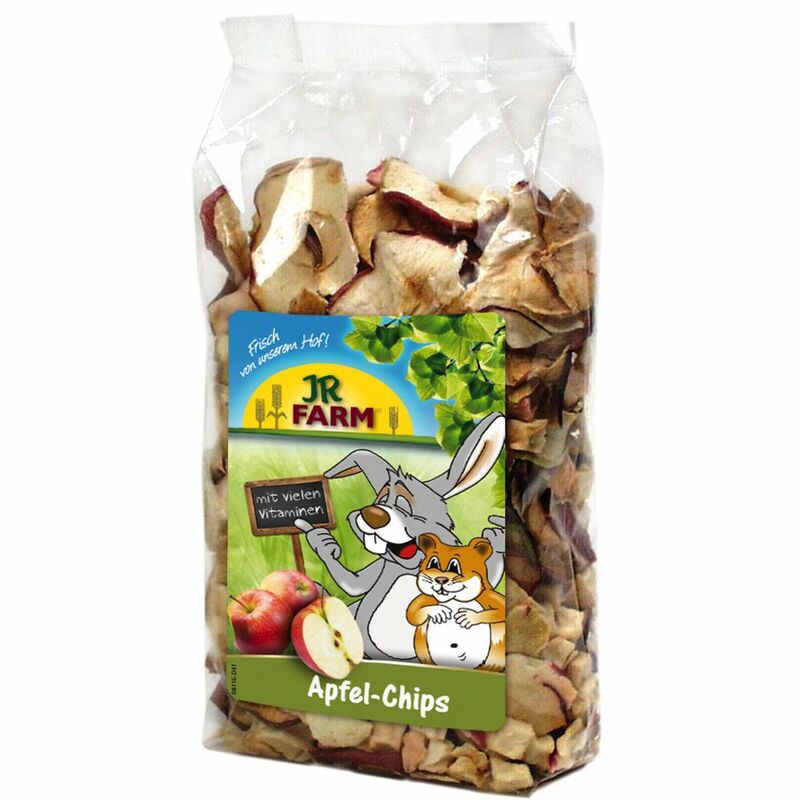 JR Farm Apple Chips are a carefully dried single feed (with no added preservatives like sulphur) and are carefully hand-packaged to lock in their natural vitamins. The handy size of JR Farm Apple Chips makes them ideally suited to use as training rewards.